Last week’s attack on Charlie Hebdo in Paris still has fuzzy details, but we seem to be united on at least one: al-Qaeda is back. Truthfully, though, al-Qaeda never went anywhere; like Jason Voorhees, al-Qaeda was always just waiting in the woods. The Islamic State may have been Terrorists of the Year in 2014, but that doesn’t mean al-Qaeda has given up its mad quest of war on the West. This attack seems to have been carried out by al-Qaeda in the Arabian Peninsula (AQAP), who is, as many might already know, based out of Yemen. We’ve known about al-Qaeda in Yemen since 2000, when they attacked the U.S.S. Cole in south Yemen’s main port, Aden. And from that attack, the United States has been waging war on them. Yet here we are, 15 years later, and AQAP seems to still manage international terrorism. What the hell is going on? In a part of the world where “ancient” means more than merely owning an original Nintendo, Yemen ranks up there with the greats. At least 7,000 years of settled history marks Yemen as a land dotted with stories and legends. 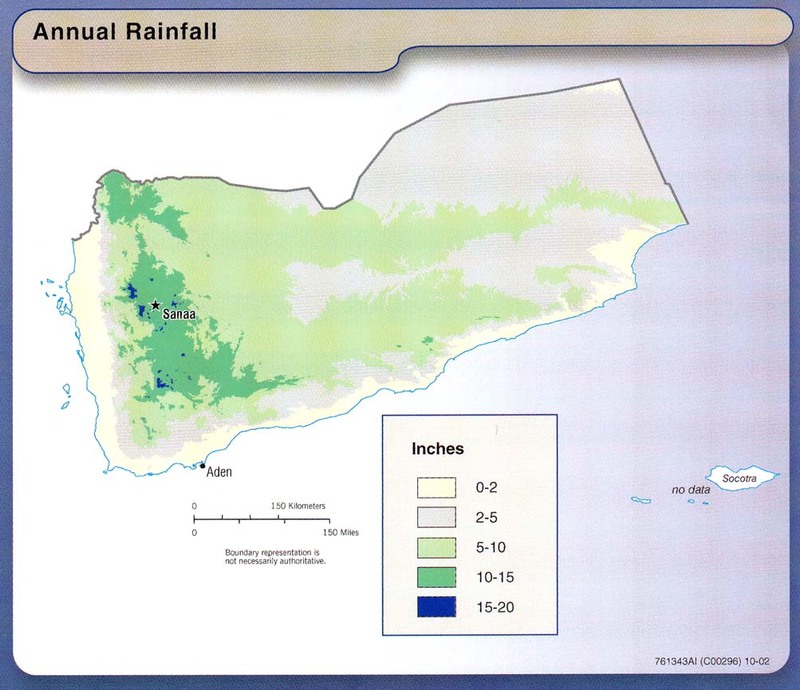 Yemen’s highlands got just enough rain to let people settle into cities and start organized states. But these regions were small. Yemen could never grow a big enough population to ward off outside forces or impose its will further afield. Moreover, bad harvests, invasions, or terrible state management could set Yemen back decades. While the highlands were busy trying to keep their civilization together on a very weak footing, the lowlands in the east and southeast were busy just trying to stay alive. Farming was not an option; they could live by raiding, trading, and piracy alone. Since Yemen is so madly old, this state of affairs has gone on thousands of years. It’s gone from being a solution to a problem to almost being a religion. Yemen has, on occasion, attracted interest from the rich and powerful because it lies on a natural secondary trade route between Asia and Europe. Some boats preferred to take a shorter, less risky journey from India to either Oman or the Persian Gulf; from there Bedouin would bring the goods across southern Arabia to Yemen, then northwards to Egypt, Syria, and Europe beyond. While not exactly the most direct of routes, this trade allowed Yemeni governments to make some money from taxes, but not a lot. As they do, traders brought a number of funny ideas with them; even the coming of Islam didn’t even out the cultural map. At the end of the day, no Yemeni state could ever afford to homogenize the country, and no outsider ever wanted to roll in and pay for such a thankless task. Rome sent an army, but withdrew when they ran the dinarii. The early Islamic Empire recruited poor Yemeni like mad, but never fell under Yemeni cultural influence or leadership, almost forgetting about Yemen as they got richer territories in Persia, Syria, and Africa. The Ottomans only cared about Yemen when foreigners did. 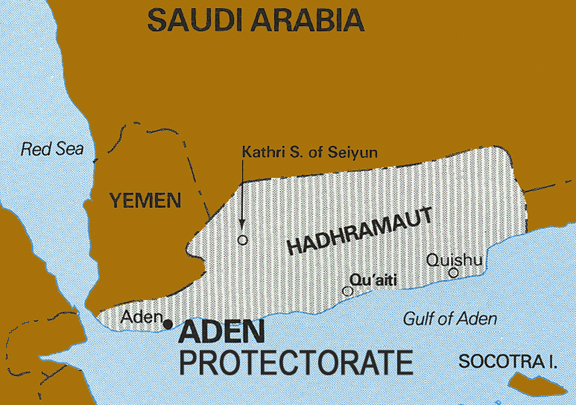 The British sent troops to south Yemen’s main port, Aden, in 1839. Not because Aden was in and of itself valuable, but because it was a fine port to hold on the cheap as part of the Empire’s Indian trade route. Over the next century, British power slowly expanded into the hinterland in response to raids and insecurity; eventually, Britain organized the whole of the anarchic southeast into the Aden Colony. But Britain did this with a light touch. Aden would never pay for itself, so the British interfered as little as possible with Yemeni affairs, and stayed the hell out of whatever was going on in North Yemen. North Yemen’s edge-of-famine existence would occasionally cause states to fall apart. Such collapses invited neighbors to invade, but none of them ever saw a reason to do much beyond pay for the barest semblance of order there. Some British would have liked to have kept Aden on as a British military base, but the loss of India and the end of the colonial era meant Aden’s days as a colony were numbered. In 1963, Britain withdrew, opening the door for natural Yemeni geopolitics to take their course. Except Southern Yemeni in Aden had developed a taste for independence; they ran straight into the arms of the Soviet Union, who guaranteed their otherwise untenable borders and armed them to the hilt. 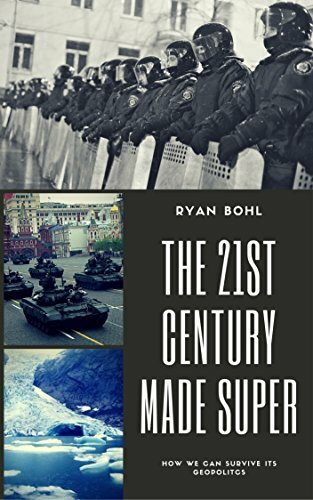 The Soviets saw Marxist South Yemen as a decent base to harass Western interests throughout the region, but only harass; the aid they gave the South Yemeni was never enough to industrialize the country. That worked for Southern elites in Aden. They couldn’t have given two shits about what the Bedouin were doing in the hinterland; Bedouin raiding and trading continued until the advent of Persian Gulf oil wiped out their way of life. Soviet support for South Yemen kept it from being conquered by its more powerful northern counterpart. But by the 1980s, with the Soviet Union obviously decaying, even Southern Yemeni nationalists realized unification was a matter of when. Southern Yemeni elites based in Aden decided to give up without a fight in 1990; they then changed their minds and lost a civil war in 1994. It was clear no independent state could be based from Aden, but that meant nothing to the still chaotic hinterlands. Conquering cities was easy for North Yemen, but conquering restless tribes? That was a bridge too far. When jihadism led by al-Qaeda began to organize in the 1990s, bin Laden had to choose countries that met one of two conditions: friendly governments, or inept ones. United Yemen was the latter. The highlands’ poverty is not as a extreme as the lowlands, but is still so great that no state has ever become powerful enough to impose control on the lowlands. With their long Bedouin history, the tribes of the lowlands do whatever they like; to preserve that, they spend what little money they have on weapons. Yemen’s history of being a tribal proving ground makes it one of the best-armed nations on Earth. Moreover, Yemen as a trade route means that many a sect, faction, and political party runs around trying to control things. Yemen’s history of weak states means many of them are armed; the strongest right now are the Houthis, a Shi’a militia that actually control the capital of the country, Sana’a. That won’t last forever; eventually they’ll get overpowered by some other faction. The current sitch (that’s “situation” in 2002 Kim Possible lingo). Al-Qaeda has the ideological foundation and the ruthless follow through to dominate tribes whenever it comes across them. That’s a big reason why AQAP runs the show in the hard-to-govern lowlands – when it comes to a rough and tumble human environments, fanatics have the strict, savage clarity necessary to take over. So if we know AQAP controls a lot of Yemen, why isn’t someone doing more? 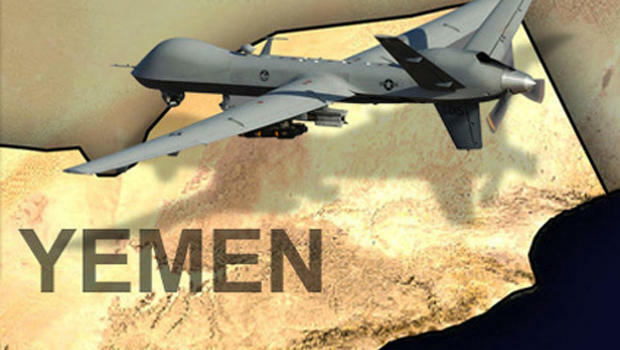 First off, something is being done: Yemen was the first country to face America’s drone warfare, starting with a high profile assassination by drone in 2002. But the reason nothing permanent is done is that Yemen just isn’t geopolitically important enough to warrant the cost. Yemen has never been a base for an empire. It has little strategic resources. The only thing it can do is be a base for terrorists and pirates. Piracy is relatively easy to stamp out in Yemen; Aden and the other port cities remain in government hands, and nobody wants the U.S. Navy to start shelling them. As for terrorism, nobody wants to pay for the expensive occupation that would be necessary to send AQAP underground. The lowlands, after all, would require numerous military posts spread throughout a huge area to corral and control AQAP’s guerillas. Top that off with whatever economic subsidies that would be needed to convince Yemeni not to join AQAP and you’re talking a huge bill that, after Iraq and Afghanistan, just isn’t terribly attractive. Attacks like Paris are headline grabbing but not true geopolitical threats. AQAP’s cells cannot threaten the French state, only upset its politics and sow limited amounts of fear. Beyond disrupting AQAP’s central command, there’s little benefit, for France or anyone else, in sending the big forces necessary to reorder Yemen. The West can do what the Soviets once did; arm the hell out of one side and let them butcher the rest. That may be what happens, but the West is currently not known for its strategic ruthlessness. Meanwhile, the West will try to copy the British by managing Yemen’s lowlands on the cheap. Unfortunately, that’s not going to work. AQAP will strike again. But thankfully, their track record isn’t all that great.